He should be. Retaliators don’t come cheap! Love the comic so far keep it up, cant wait to see more. Maybe if you try it with more than 6+ you could hope to make a scratch into that ship. As much as I like your comic, always try to keep it reasonable. I think the Pegasus carrier is supposed to be able to carry two Retaliators only and the Idris frigates can’t hold any, so that’s why I chose two. 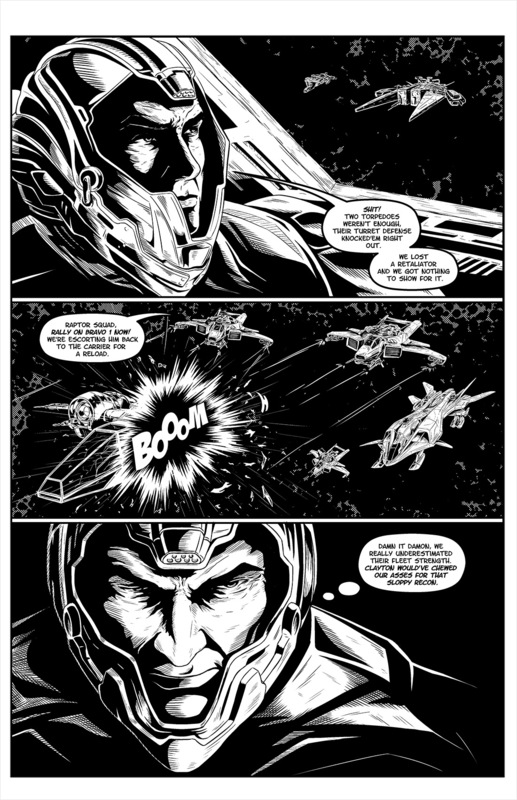 And this is “only” talking about an Idris….a frigate…now think what you would need to go up against a destroyer!